Air101: WestJet reports record third quarter net earnings of $138.4 million, up 19 percent! WestJet reports record third quarter net earnings of $138.4 million, up 19 percent! WestJet today announced its third quarter results for 2017, with record net earnings of $138.4 million, or $1.18 per fully diluted share, as compared with the net earnings of $116.0 million, or $0.97 per fully diluted share reported in the third quarter of 2016, up 19.4 percent, respectively. WestJet achieved its 50th consecutive quarter of profitability and flew an all-time quarterly record of 6.5 million guests. Based on the trailing twelve months, the airline achieved a return on invested capital of 10.2 per cent, up compared to the 9.8 per cent reported in the previous quarter. "Today we reported our 50th consecutive profitable quarter, which included record earnings, margin expansion, positive year over year RASM growth, and improved return on invested capital, as we achieved the highest ever quarterly load factor in our 21-year history and flew an all-time quarterly record number of guests. 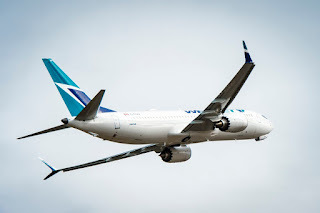 Our business fundamentals continue to strengthen, which combined with new strategic initiatives, including the launching of Swoop in the summer of 2018 and Boeing Dreamliner service starting in 2019, gives us great confidence in our ability to deliver sustainable profitable growth and earnings expansion," said WestJet President and CEO Gregg Saretsky. "I want to thank our more than 13,000 WestJetters for their dedication and energy in delivering our award-winning brand of friendly caring service, and I especially look forward to celebrating our success at the November profit share event." *Refer to reconciliations in the accompanying tables for further information regarding calculations.